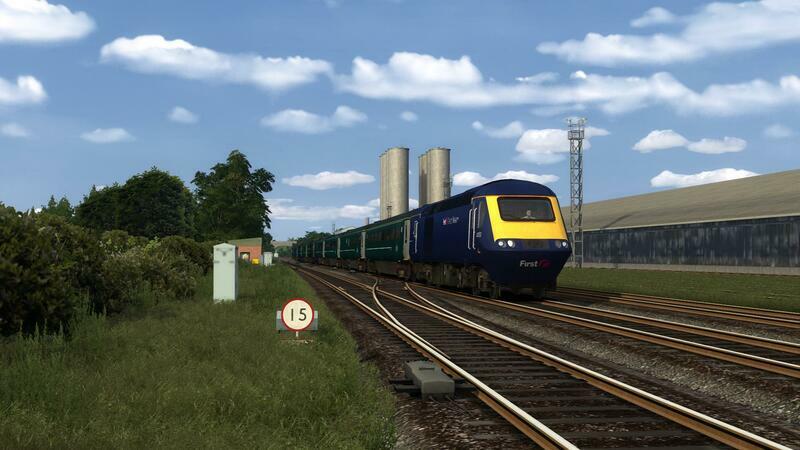 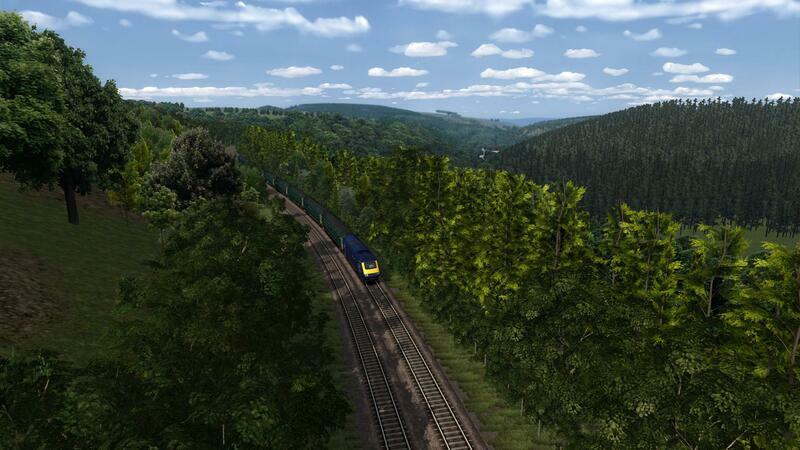 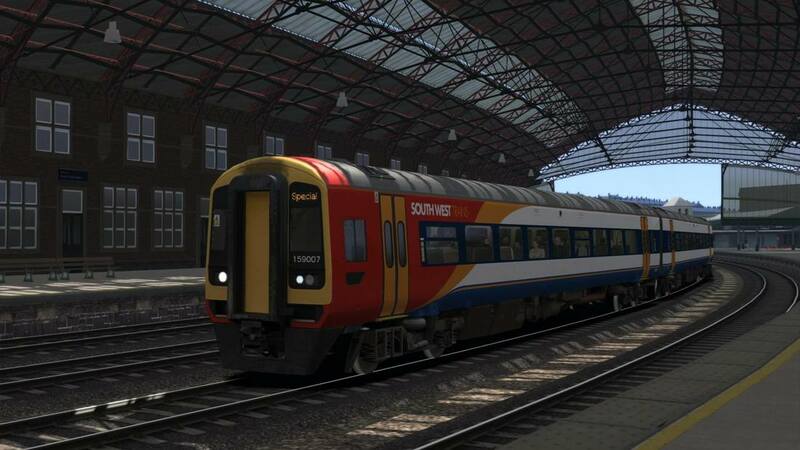 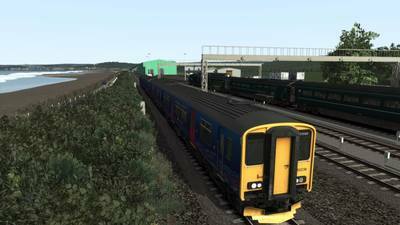 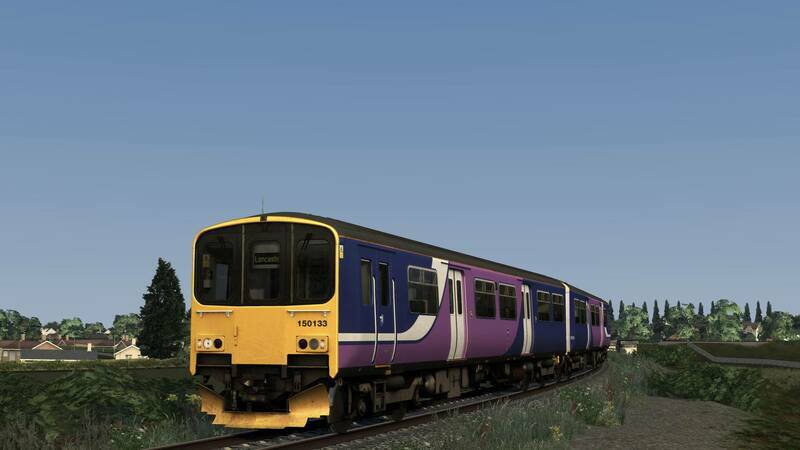 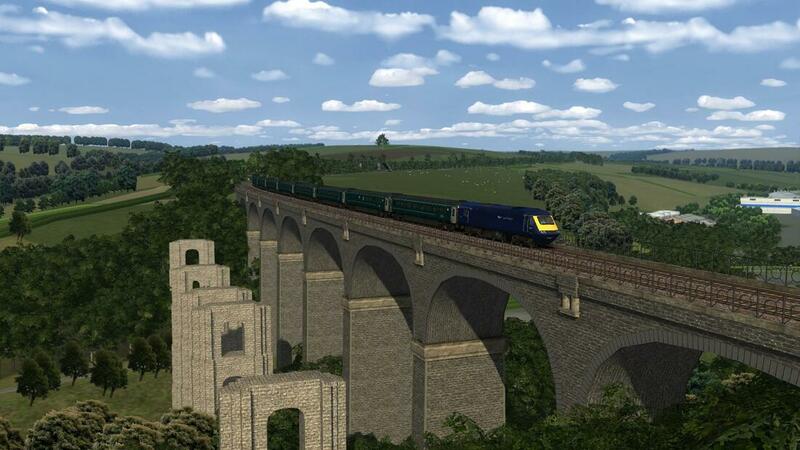 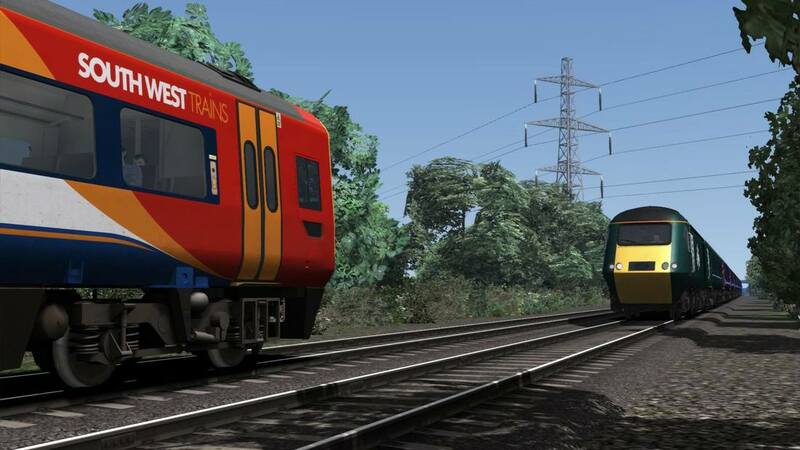 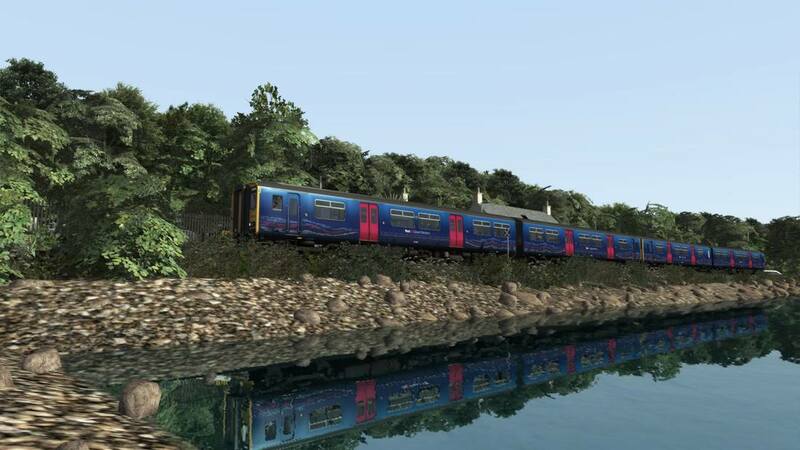 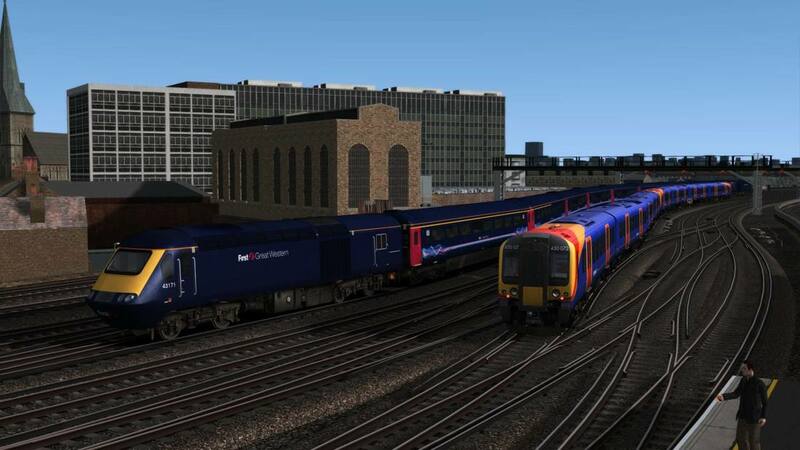 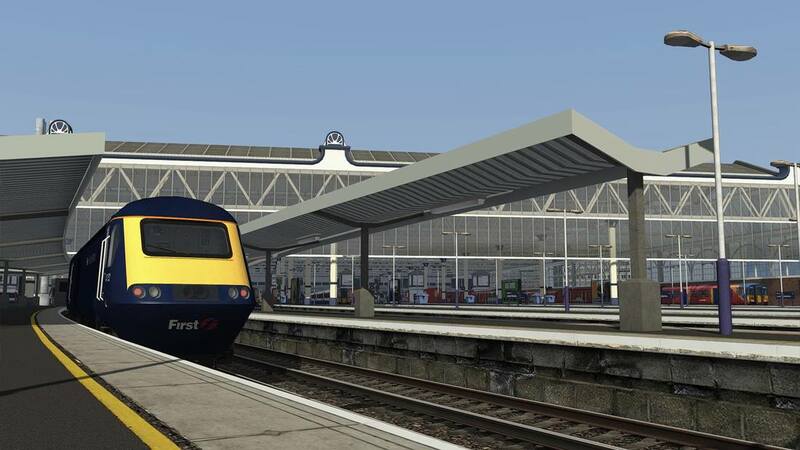 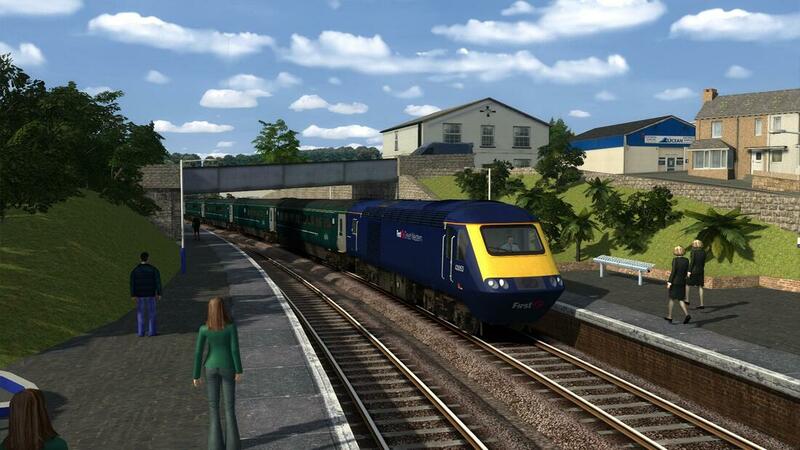 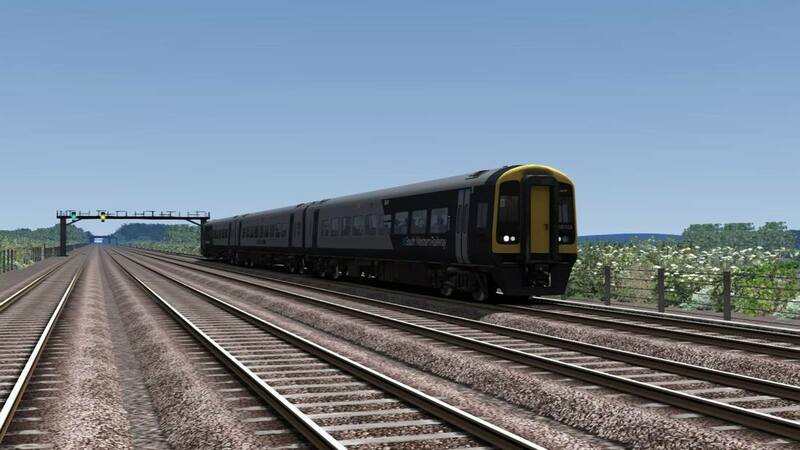 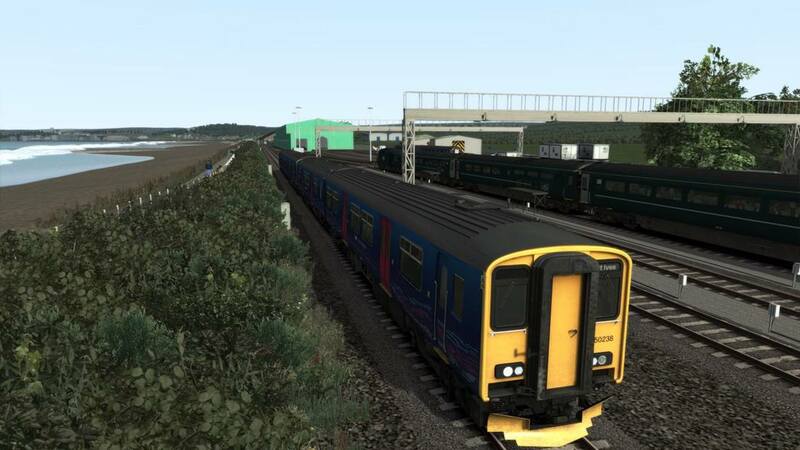 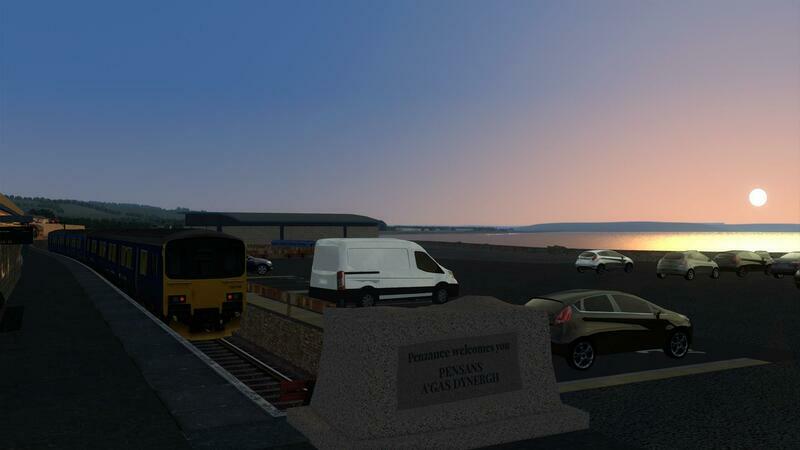 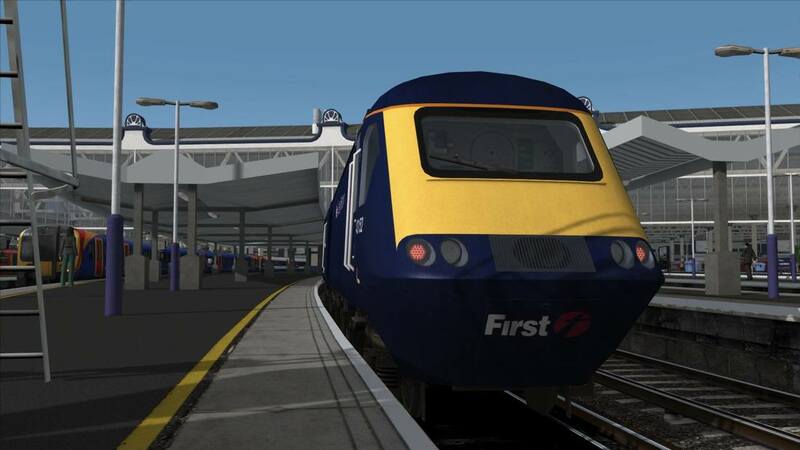 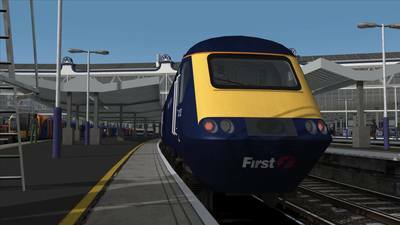 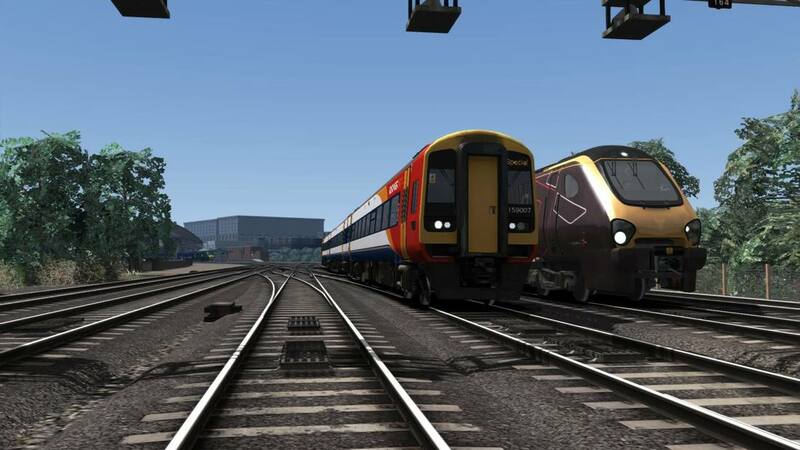 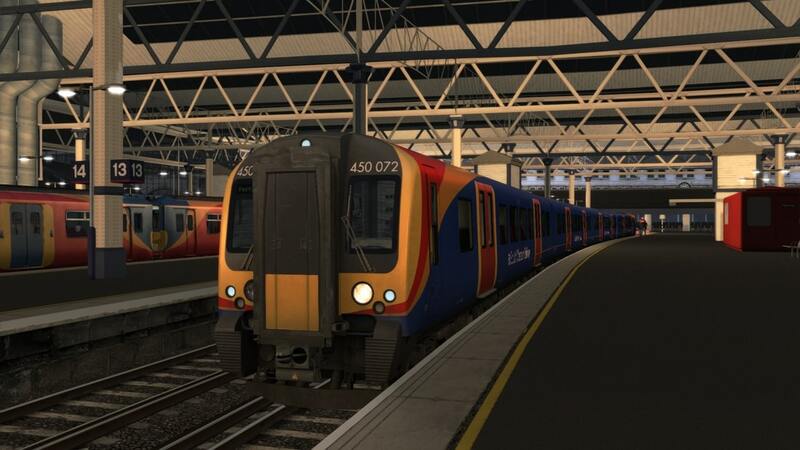 ​Drive a pair of Class 150/2 Units from Penzance to St Ives on 2A03 before working back to St Erth on 2A04. 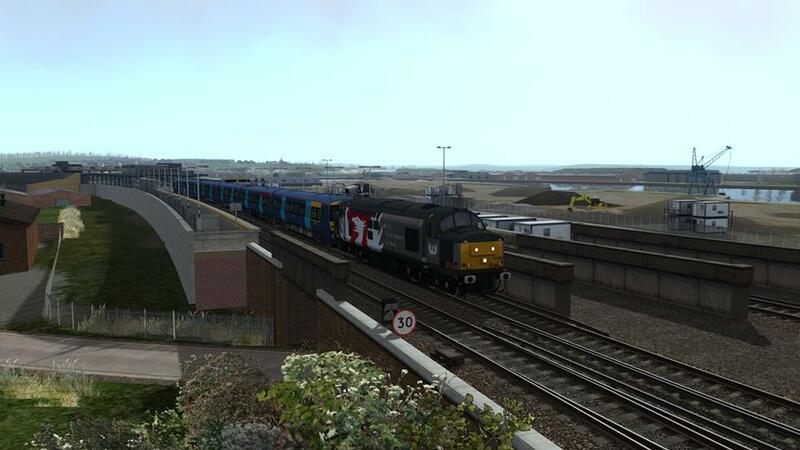 Drive 43171 and 43152 on 1O43, the 1000 departure from Penzance to London Waterloo due to closures on the GWML. ​Drive 2415 and 2418 on 1Z42, the 0900 Waterloo - Poole, the Rail Operations Group "Railway Children Charity Special"
Drive Direct Rail Services Class 68, 68001 from Stafford to Nuneaton on train 6U76 Crewe Basford Hall - Mountsorrel. 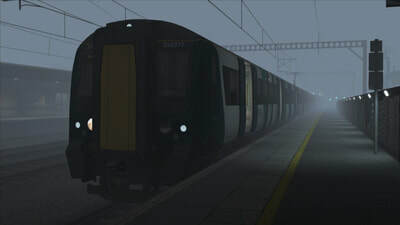 Drive the early morning service that delivers the Falmouth units to Truro for the day. A very odd stopping pattern on this run so familiarise yourself with that first! Drive 67015 from Chester to Llandudno Junction whilst working 1D34 Manchester Piccadilly-Holyhead on 30th November 2017. 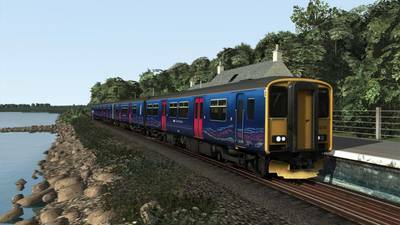 ​Drive 43053/43022 from Penzance to Plymouth on 1A78 06:45 Penzance-Plymouth during the summer of 2017. 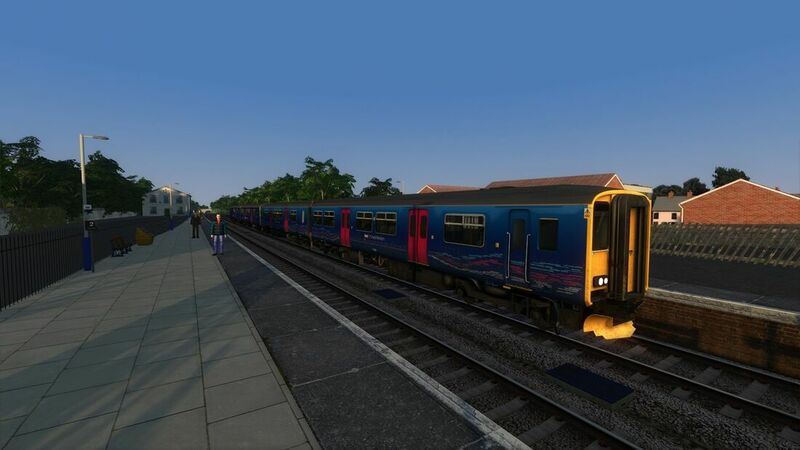 Drive 5M99, a ROG-operated move from Salisbury T&RSMD to Loughborough Brush, formed of Class 159007 on 13th February 2018. 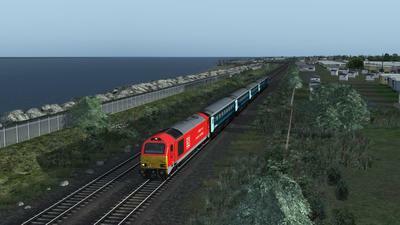 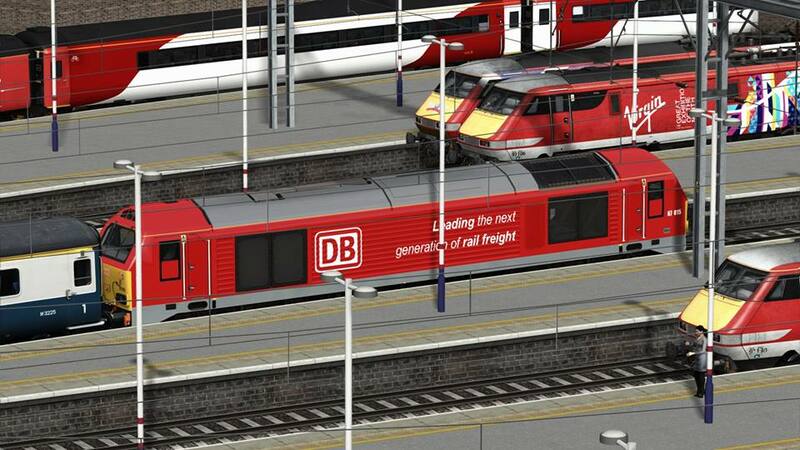 This scenario utilises the XC Extended route. 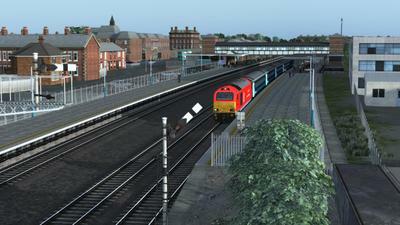 Drive 159 014 on it's move from Loughborough Brush to Salisbury. 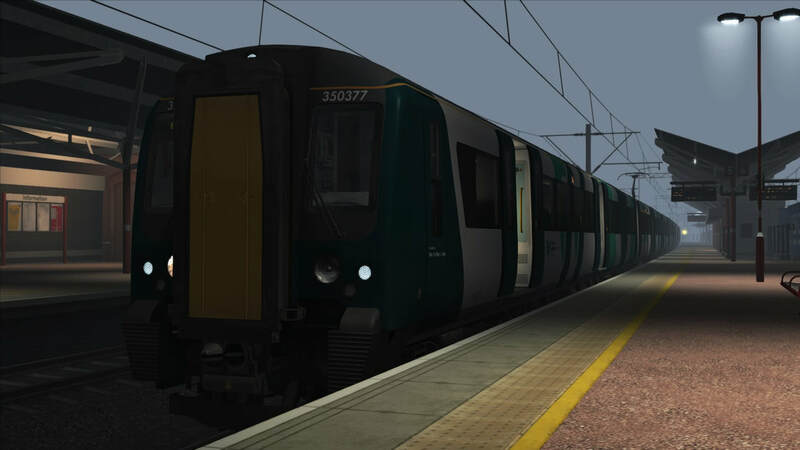 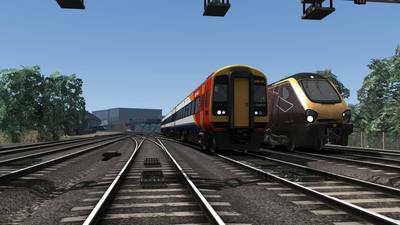 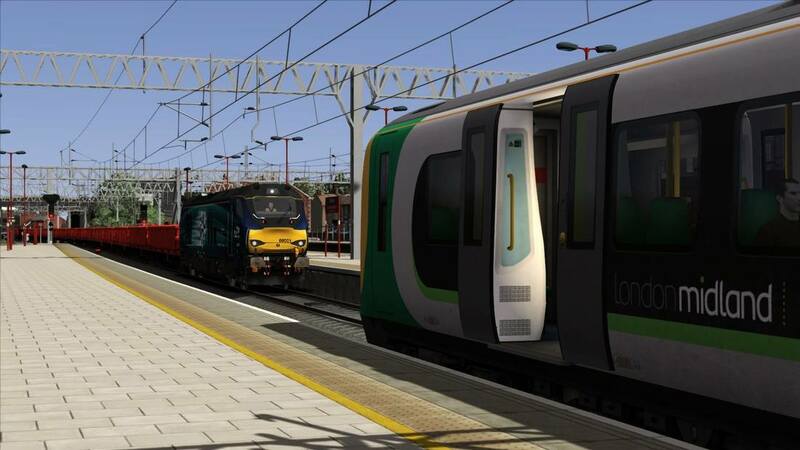 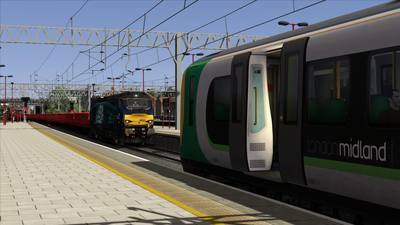 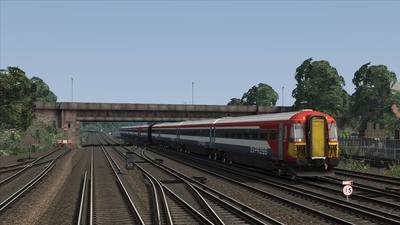 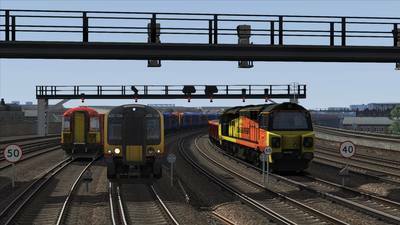 In Part 1 you take the unit from Bedford to North London on the MML route,before continuing to Bristol on Western Mainlines in Part 2. 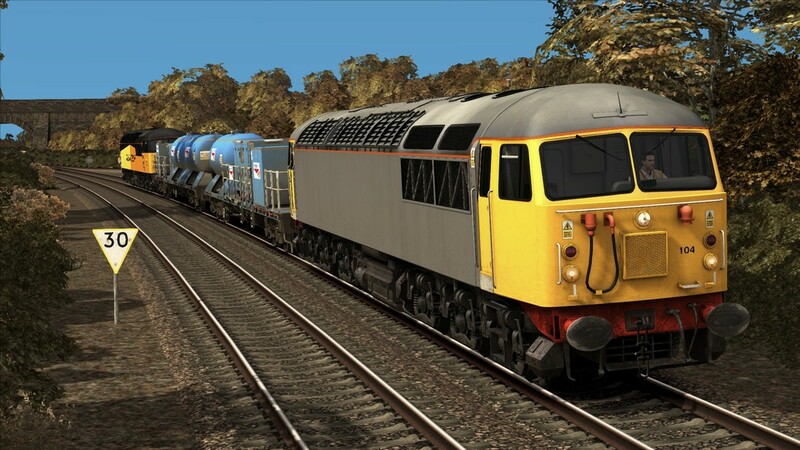 There are quite a number of requirements. Please refer to the readme for details. 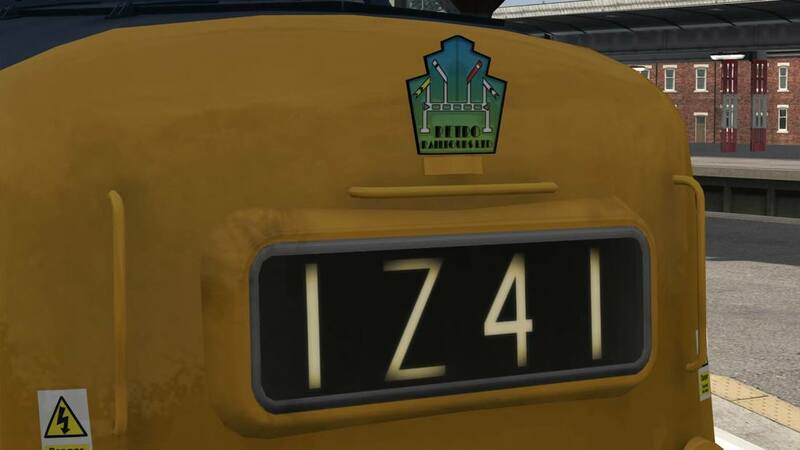 Hello and good morning driver. 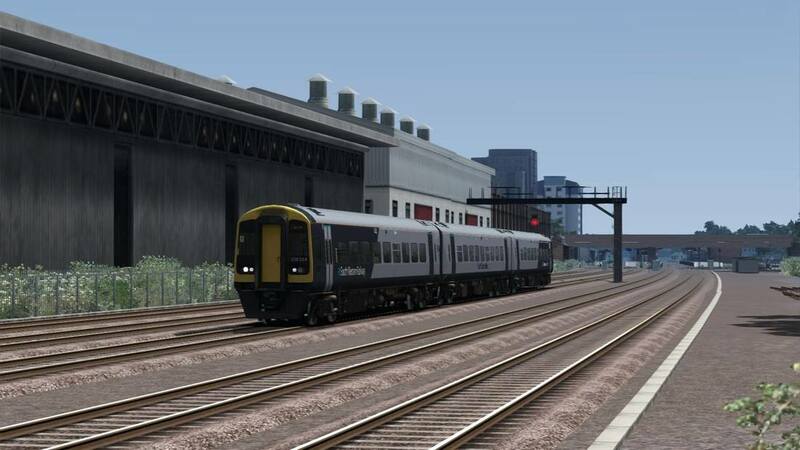 Today your in charge of 203 Harrow and Wealdstone to Elephant and Castle along the Bakerloo Line. 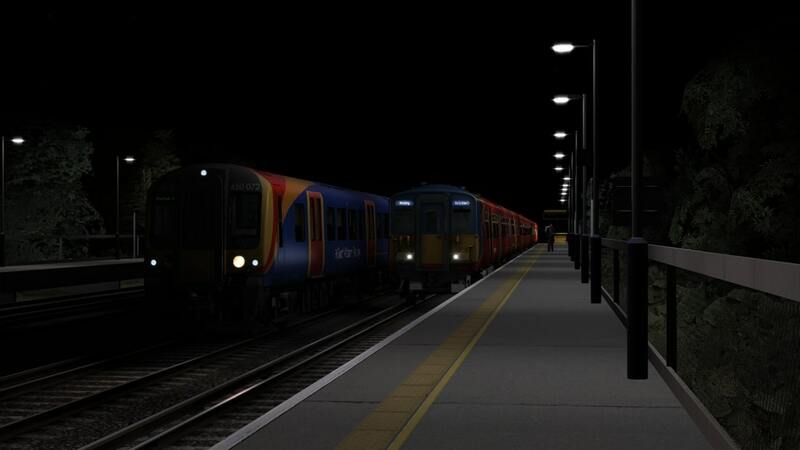 You're clear to head into the station once the Class 378 LO service has cleared the signal at the end of Harrow and Wealdstone station. 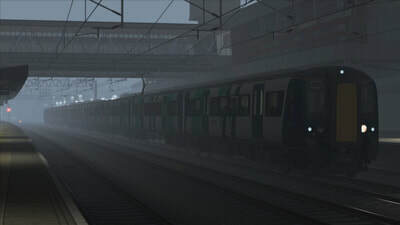 Departure from there is to be 07:42:52. 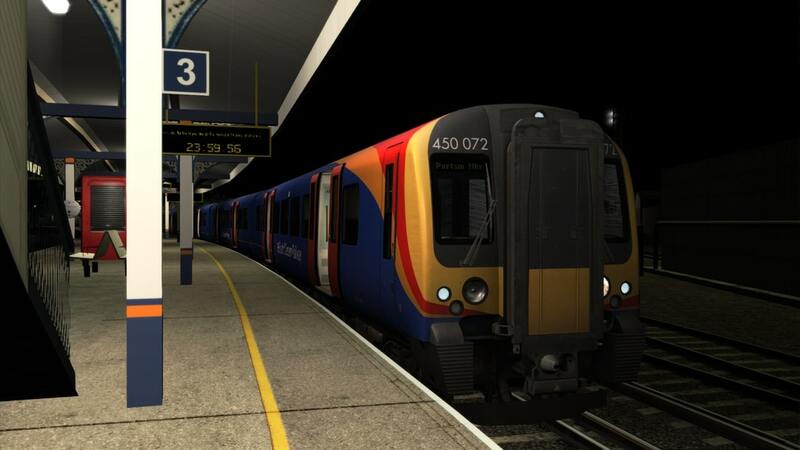 Refer to the Readme For requirements. 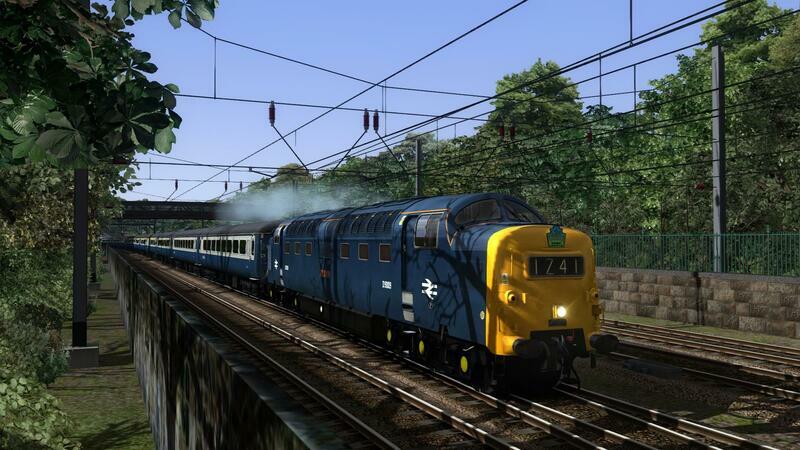 Having just arrived in from the Ayr portion of the journey. 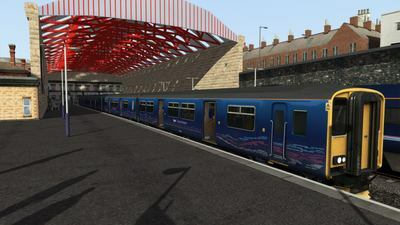 You are to continue with the journey from Glasgow Central to Edinburgh. You will call at Motherwell, Wishaw, Carluke, Carstairs, Haymarket and Edinburgh. Drive 68004 and 68007 from Coatbridge to Motherwell TMD on 5G02 Edinburgh-Motherwell TMD ECS. 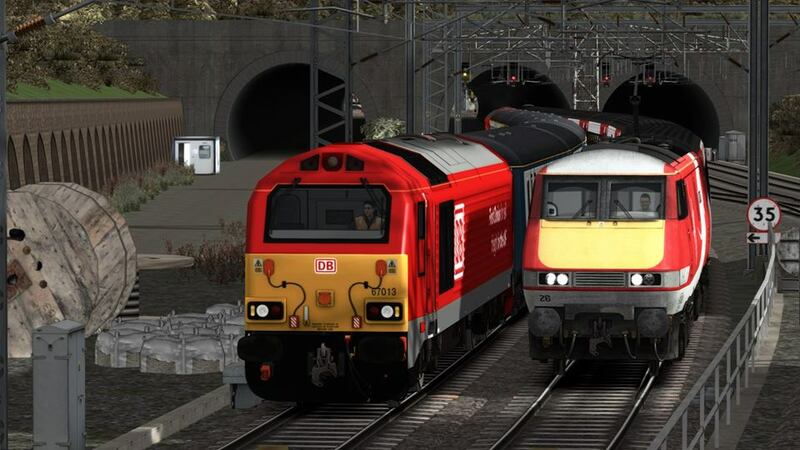 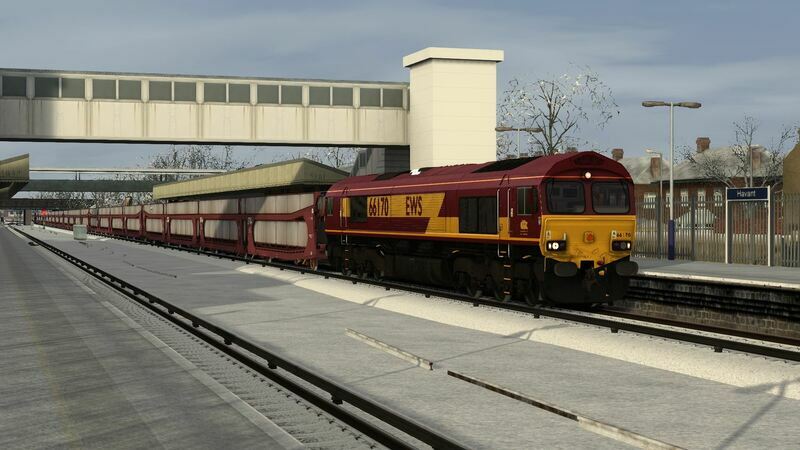 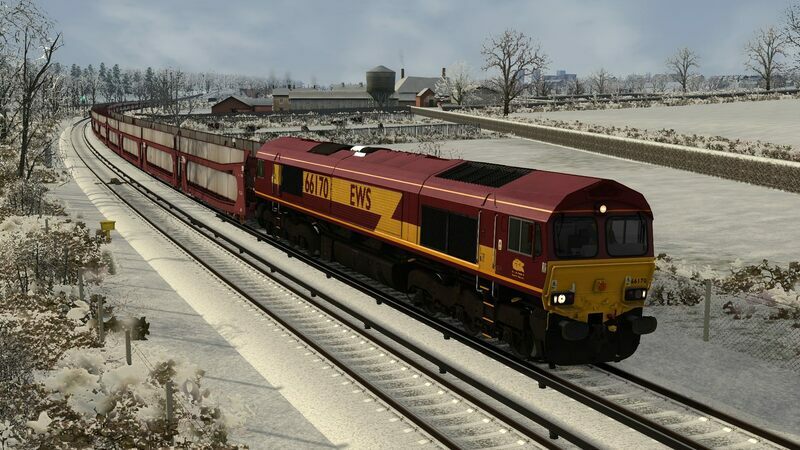 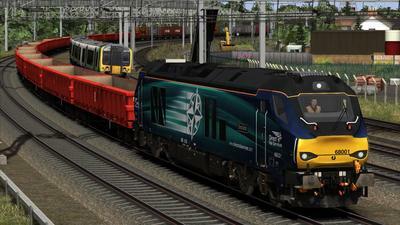 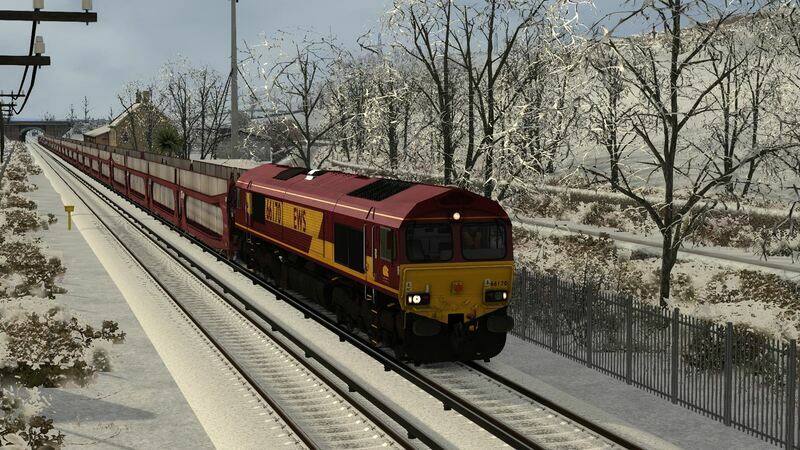 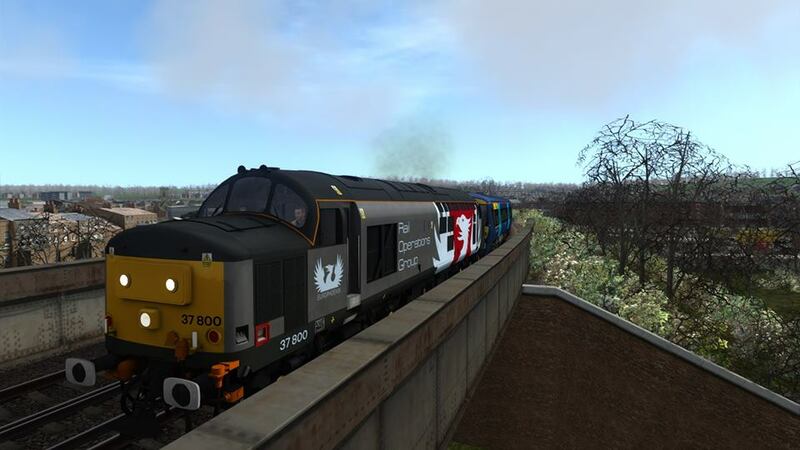 This is a very short scenario for a quick trip through Mossend yard! 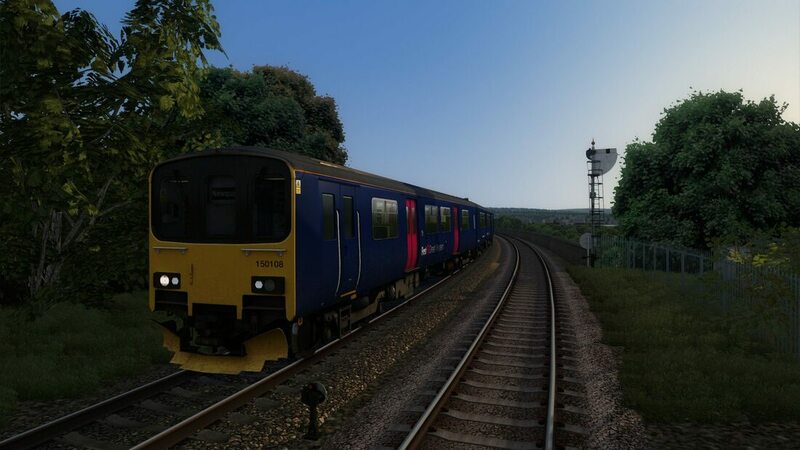 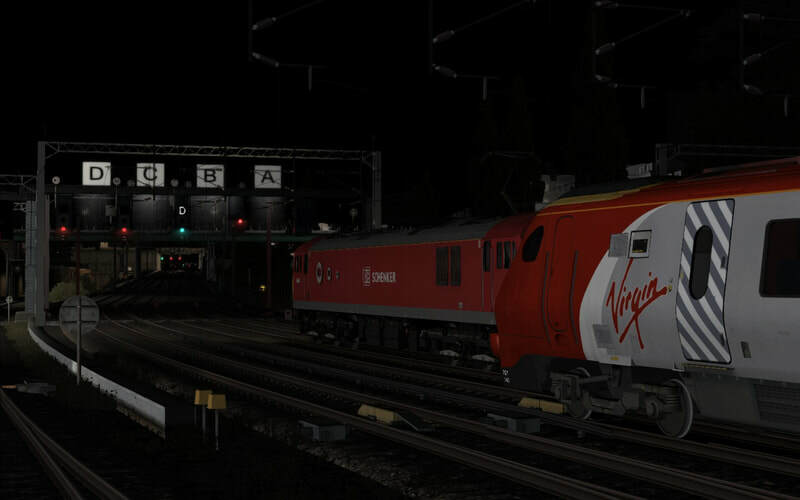 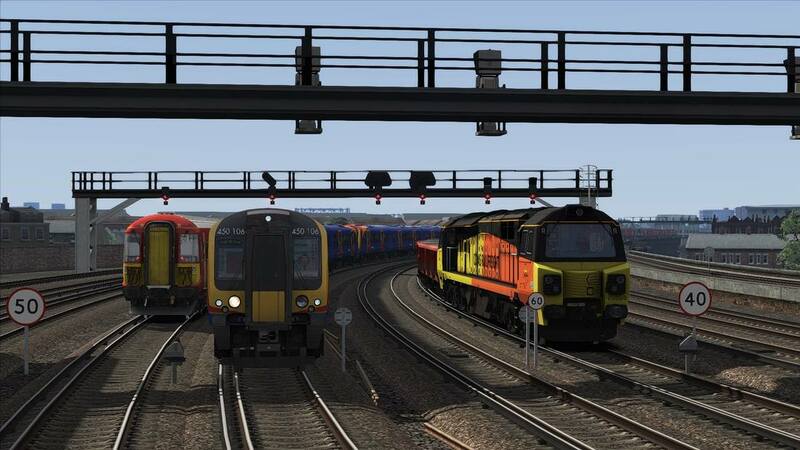 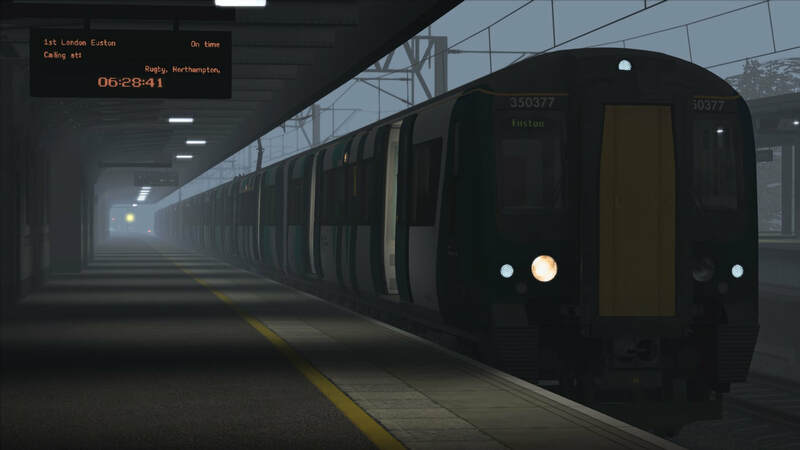 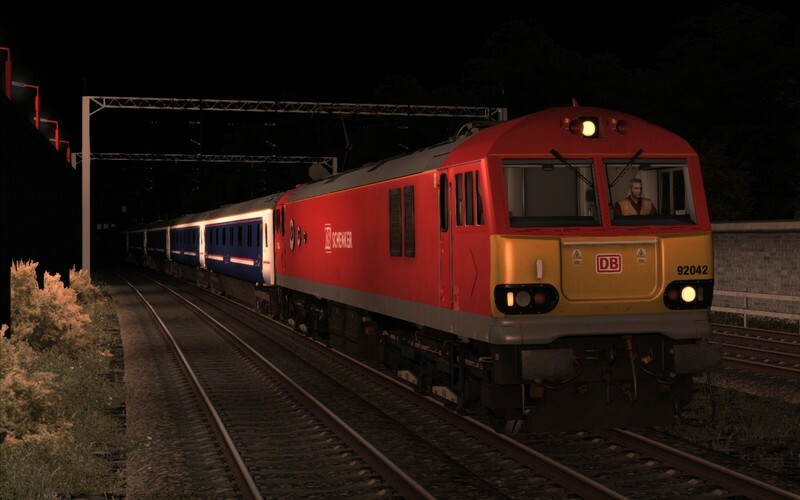 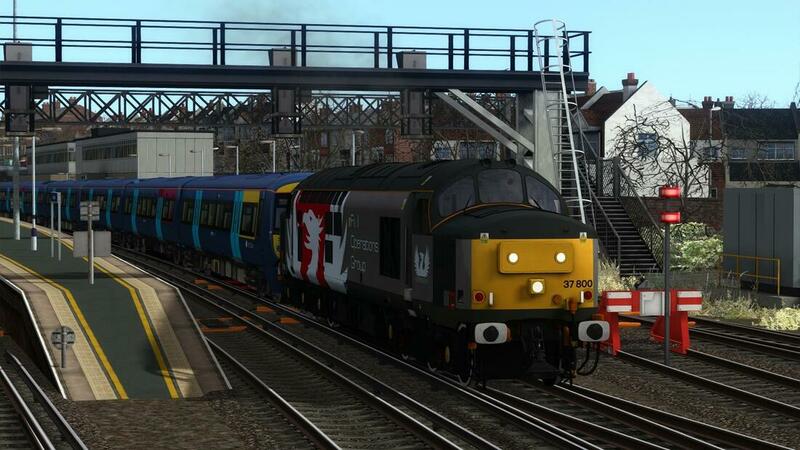 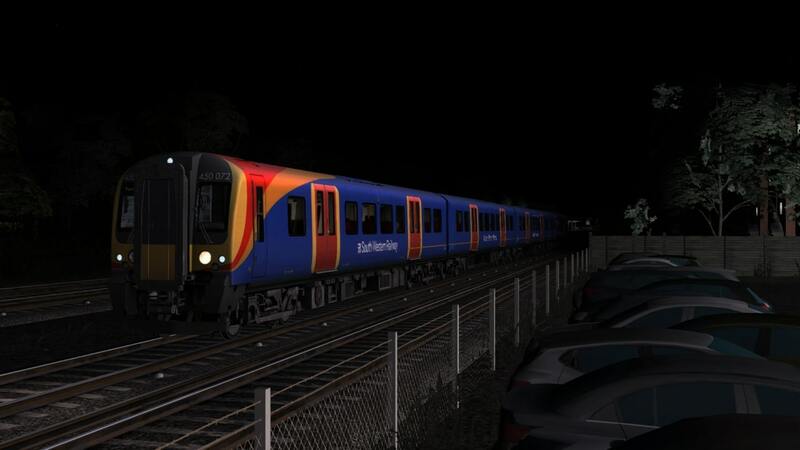 Drive a Class 450 from Waterloo to Portsmouth working 1P75 on an October evening in 2018. 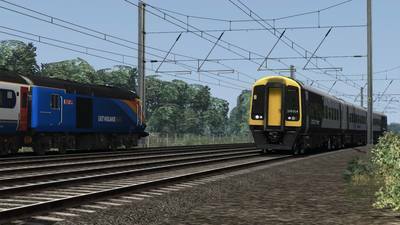 This scenario features plenty of AI interaction,though we have had to remove a small number of trains which were causing crawling bugs. We have also not used static consists,so that FPS stays high. 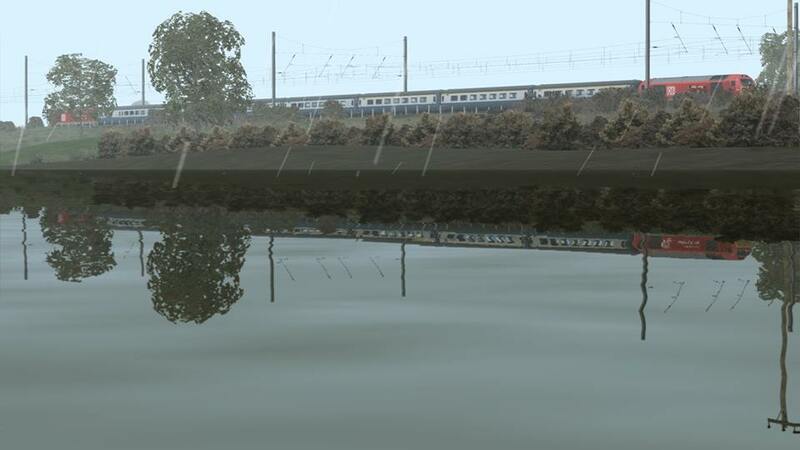 Some testers had an AI crash,though 75% of our team managed to run the scenario successfully,so this scenario must be used with that understanding,it MAY not work as expected,sorry. 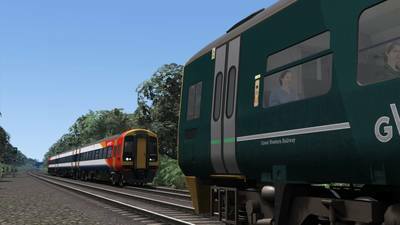 However we have had it work fine for the majority of our test team. Drive 350377 and 350124 from Stafford to Rugby with the first Euston bound train of the day, 1U00, the 05:21 from Crewe. 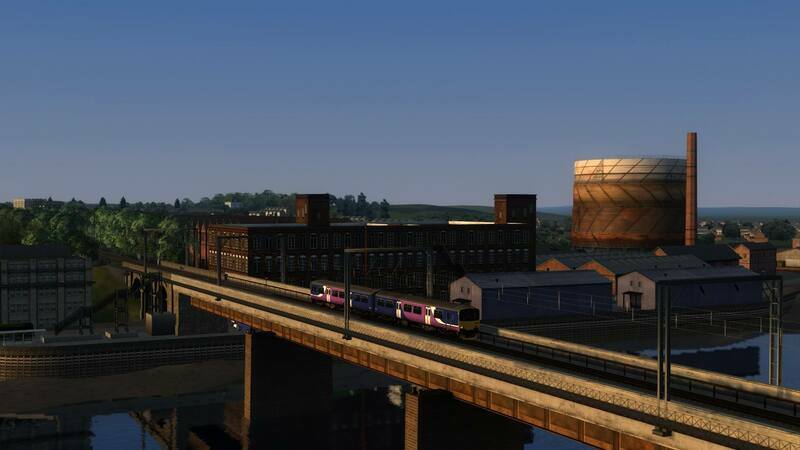 Year: 2018. 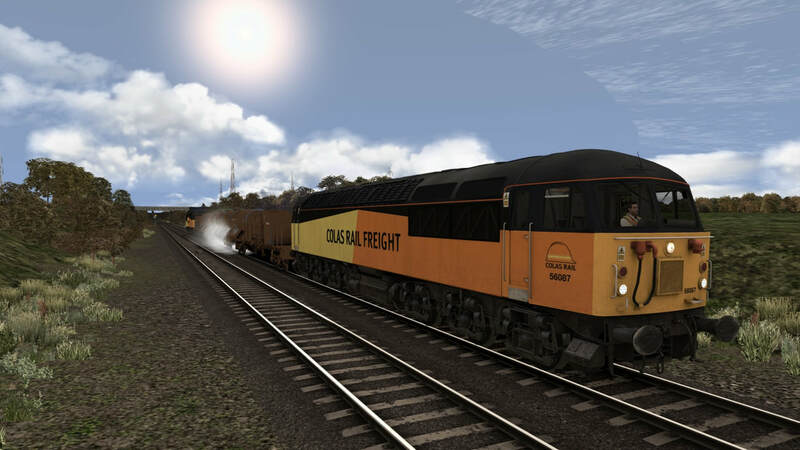 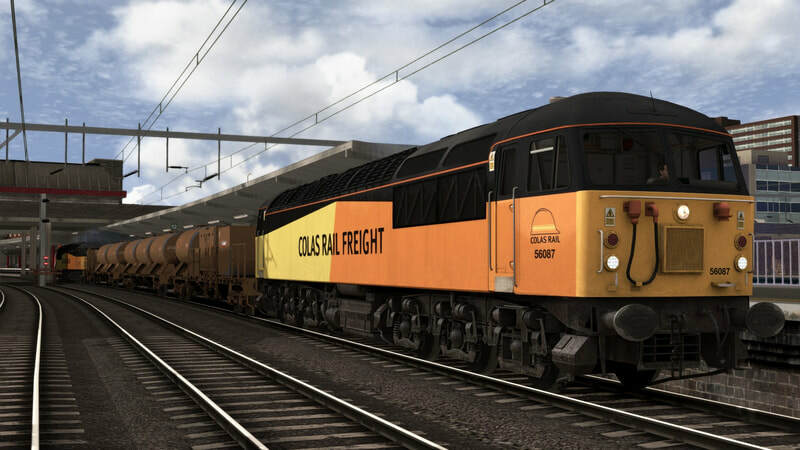 Drive a pair of Colas Class 56's on 3S71 21:20 Shrewsbury-Coleham-Shrewsbury RHTT,as it operated on 21st November 2018. 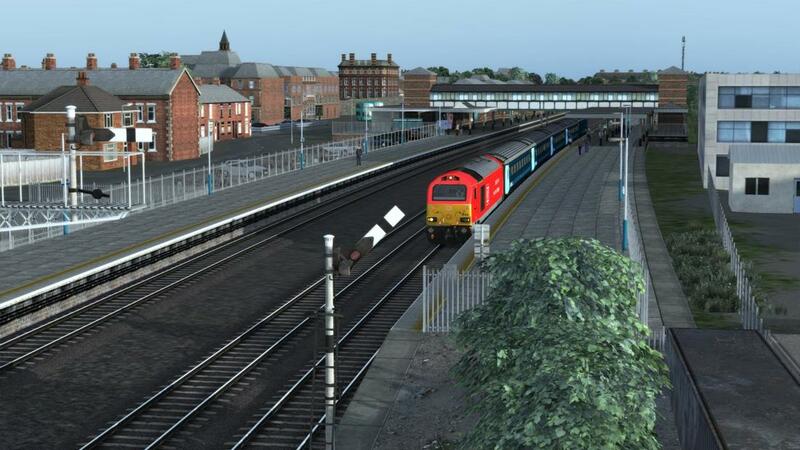 You will take the train from Crewe to Llandudno Junction. 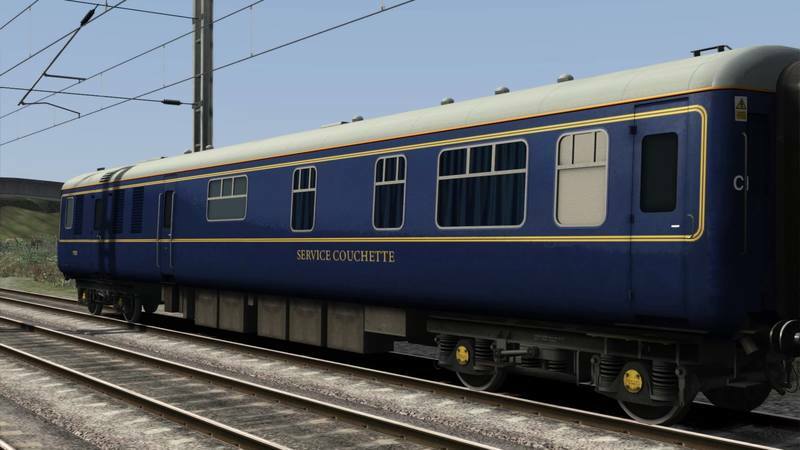 A trio of extra scenarios for owners of our "Preserved Deltic Pack",which also include a reskin of the "Service Couchette" Generator Car. 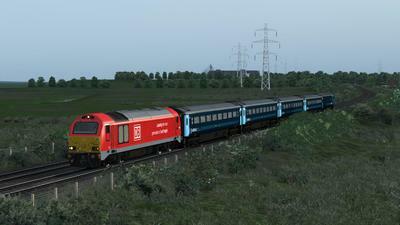 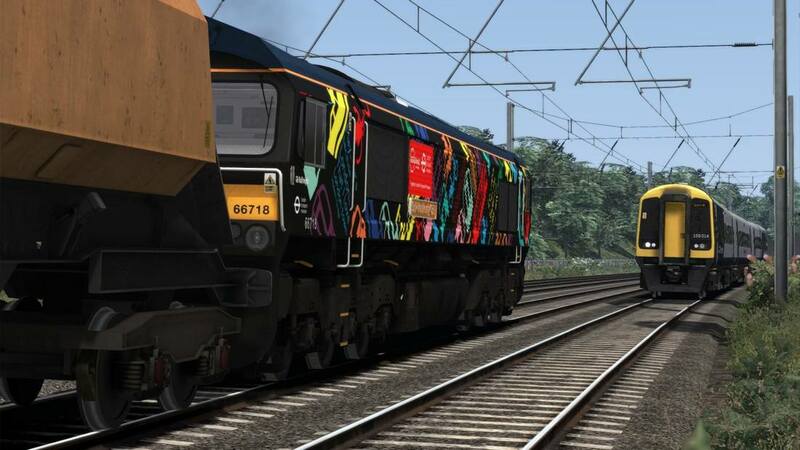 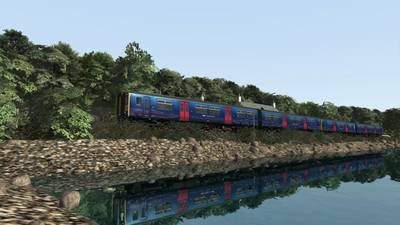 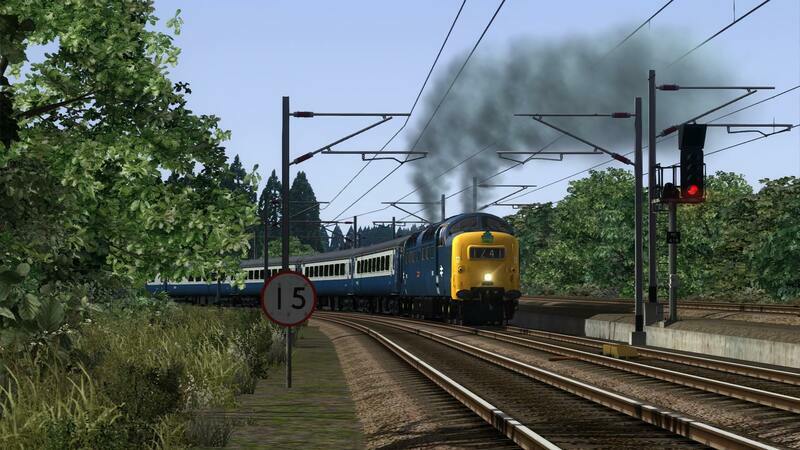 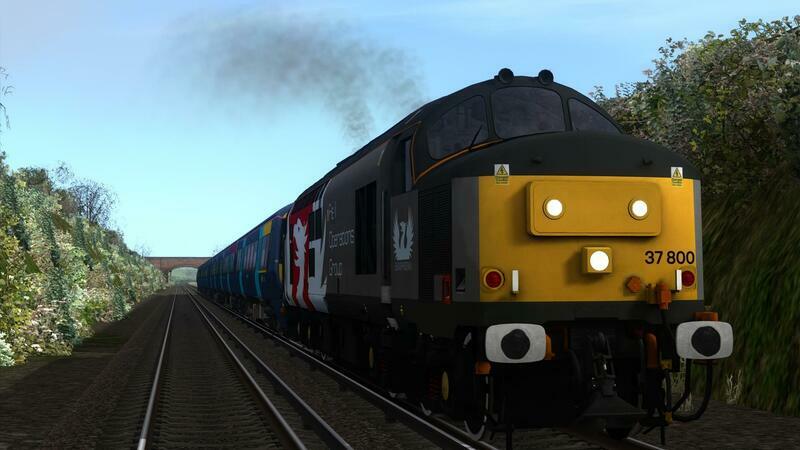 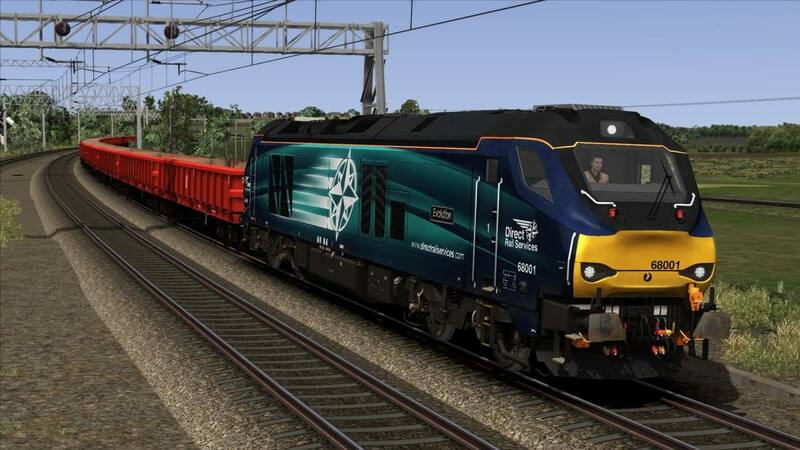 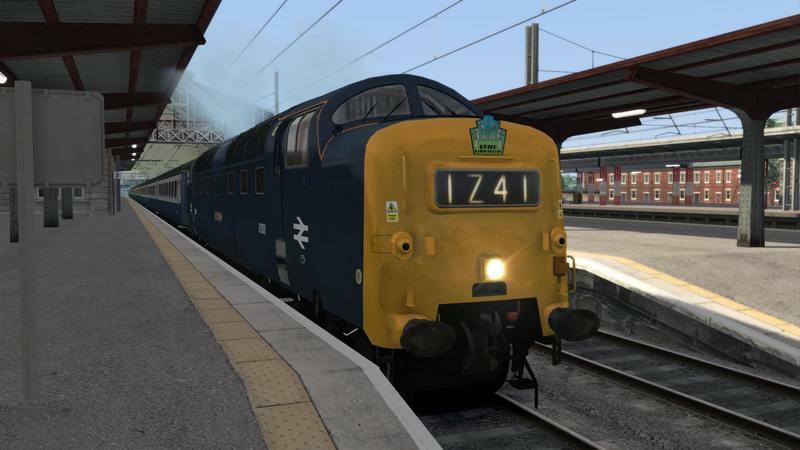 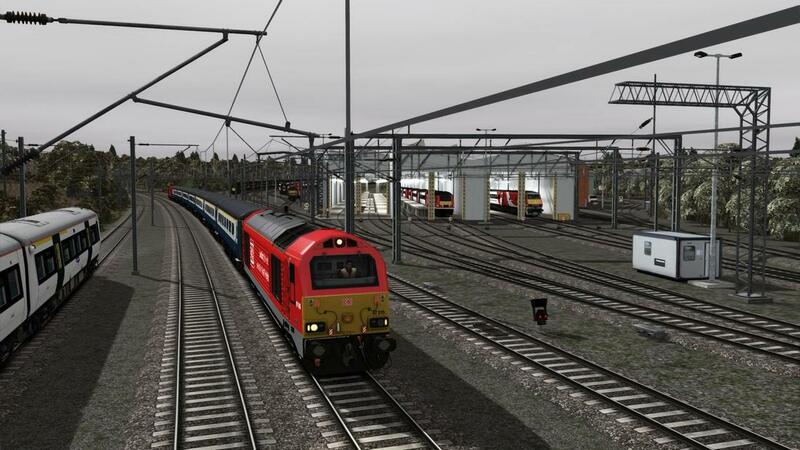 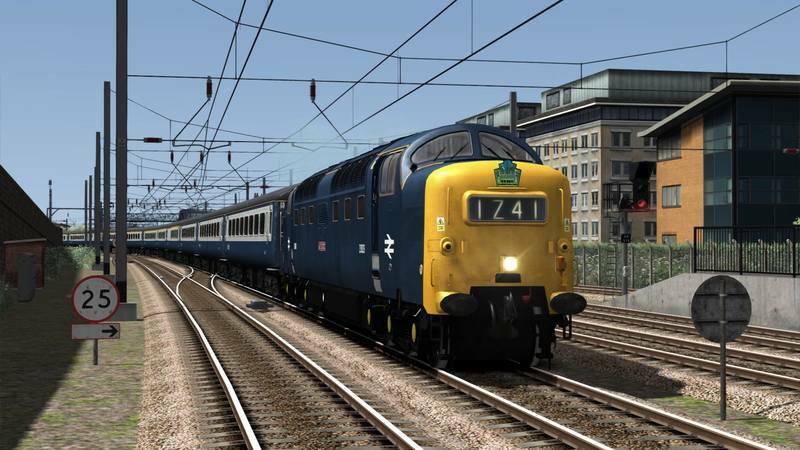 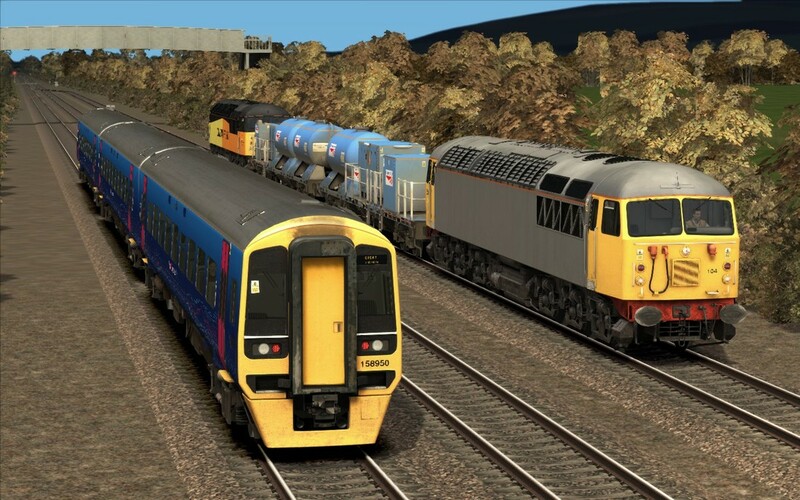 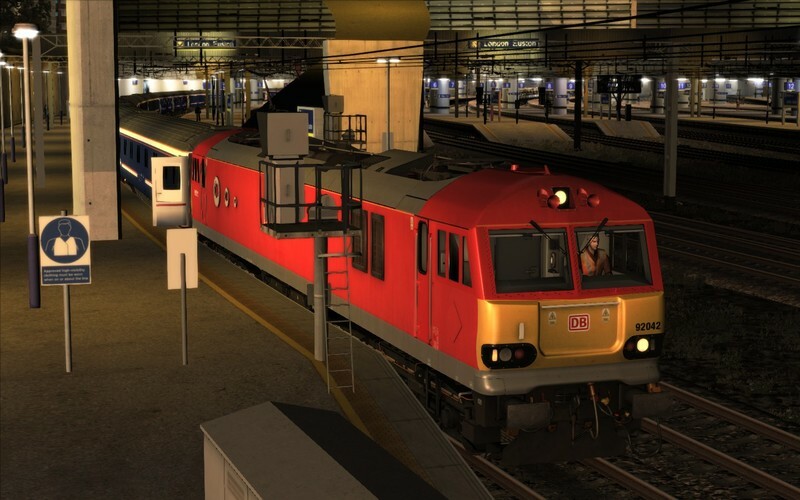 These scenarios depict "The Deltic Retro Scot 3",which ran in August 2018 on the WCML North and WCML Over Shap route. 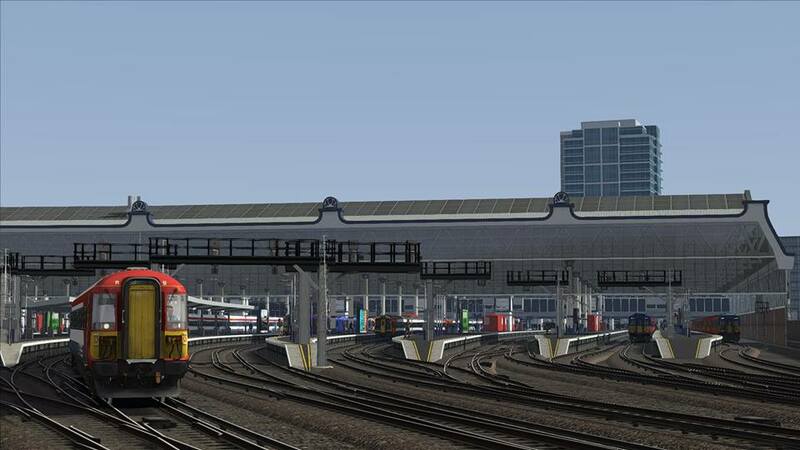 If you drive to the maximum line speed in Part 3 you will have a long wait at Haymarket. 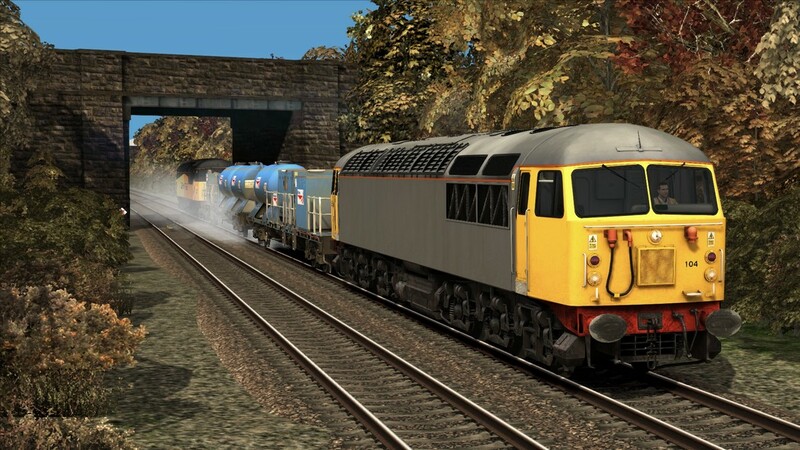 Refer to readme's for requirements. 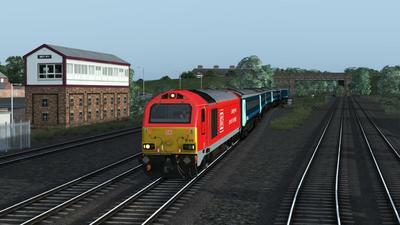 Drive 37800 on 5Q58, the last post-refurb 375 move from Derby Litchurch Lane to Ramsgate Depot. 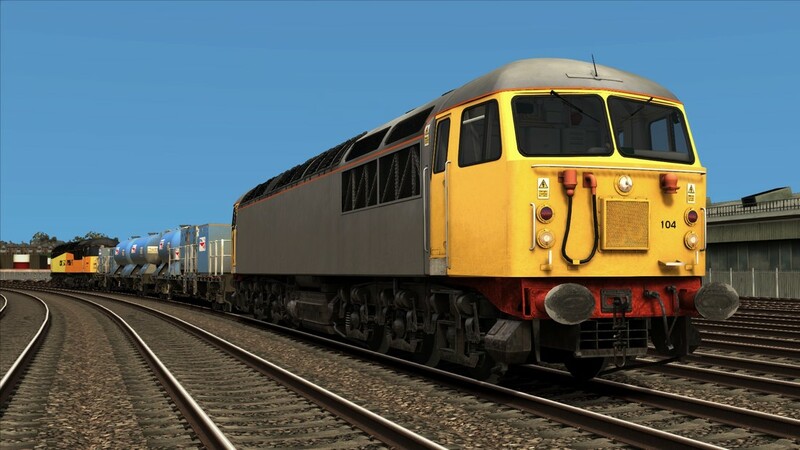 Date - 10/03/2018. 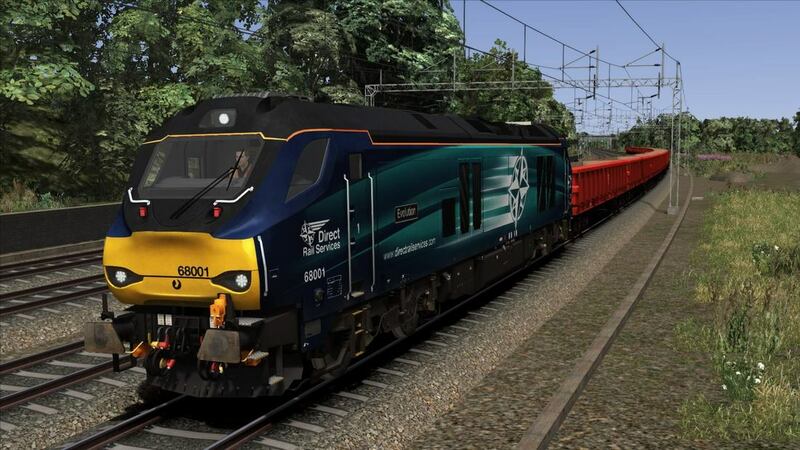 ​Drive 66170 on 6M48, the 0925 Southampton Eastern Docks - Halewood (Jaguar Cars) service. 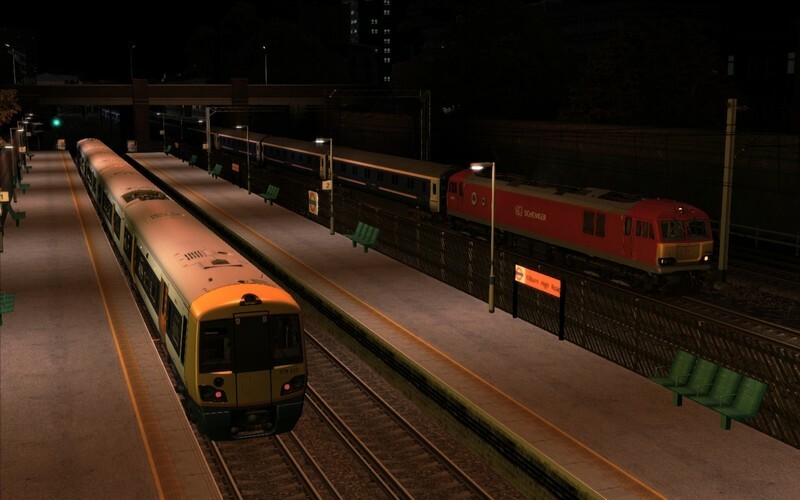 Date - 02/02/2019. 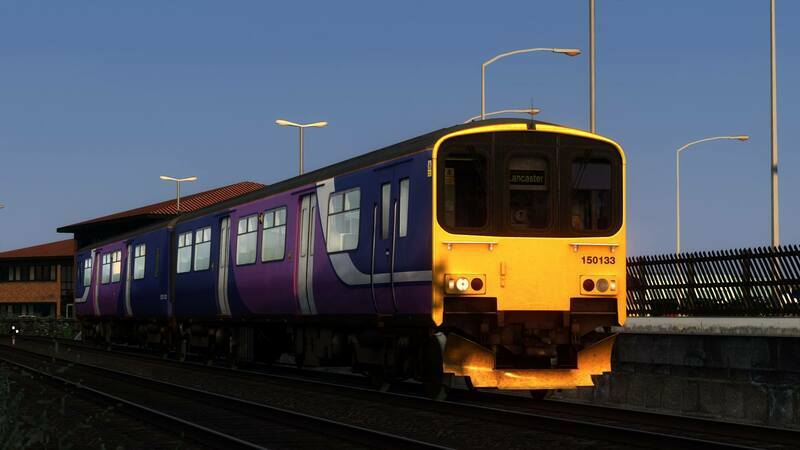 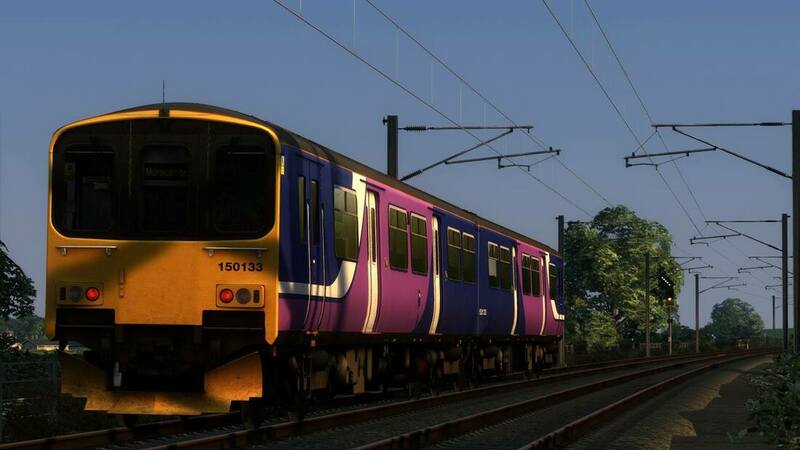 ​You'll be driving the first round trip to Morecambe from Lancaster utilising a Class 150/1 vice 142 due to the 142 failing earlier in the morning. You'll have a clear run down to Morecambe but keep your wits about you coming back up to Lancaster! 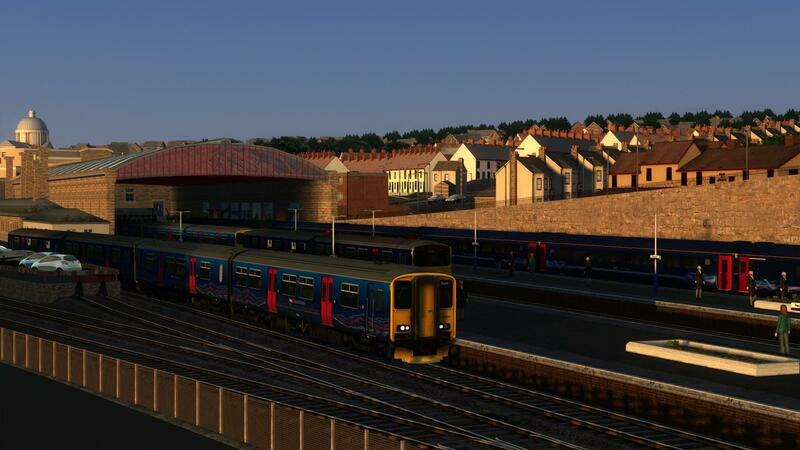 ​There's a 15 minute stop at Morecambe so enjoy the scenery!